Mazi Salon offers the highest quality Permanent Makeup in Glendale, Los Angeles, CA for amazingly low prices! We offer various types of permanent makeup services including Microblading Eyebrows & Scalp Micropigmentation. 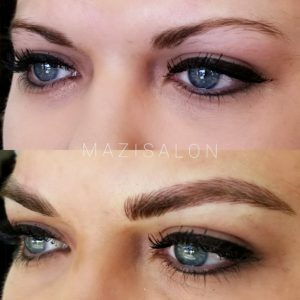 Visit our gallery for images of permanent makeup done at Mazi Salon. Mazi Salon provides the highest quality Permanent Makeup in Glendale, Los Angeles, CA. The permanent makeup products, tools, & equipment we use at our salon are the best quality available worldwide. Get amazing prices on high quality permanent cosmetics! The prices we offer are as low as it gets for the quality of makeup that we provide! Don’t settle for anything but the best quality micropigmentation for the lowest prices around! Our permanent makeup artists are highly knowledgeable & experienced about all aspects of permanent makeup. We provide high quality services that last.